Plasticraft, located in St. John, NB, is a full service specialty and digital print provider. They provide print production for retail, home improvement, food & beverage industries and marketing agencies. Plasticraft has added a MultiCam Digital Express digital finishing system with an optional conveyor system, dual knives and spindle. 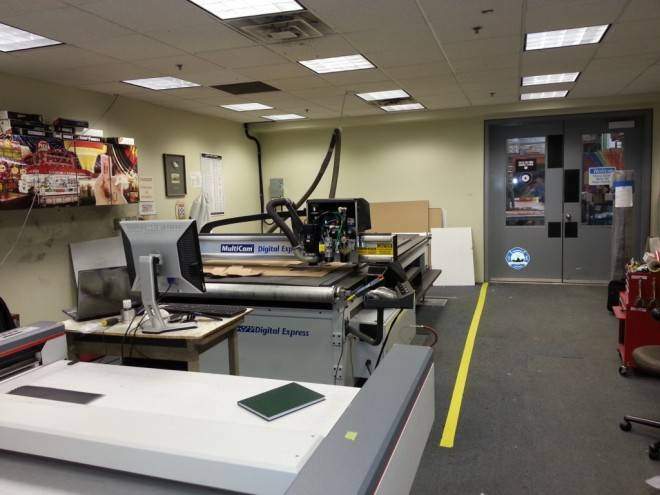 Using the Digital Express’ 7000IPM rapid traverse speed, Plasticraft is able to eliminate the digital cutting bottlenecks that many print shops experience.